These are Red Ink Cartridges. i.e. Cartridges containing Red Ink. How is it possible to review such an item? Each cartridge has been lovingly filled with Red Ink probably, though by no means necessarily, in the People's Republic of China. When punctured the ink is able to leave the cartridge, and by means of cunningly constructed canals to flow to the nib of a fountain pen, whence it leaves to inscribe a mark on paper wheresoever the writer wishes. I imagine that cartridges are available containing ink of various tones and hues, and that these would be as useful in their different ways, as I have found the red ink cartridges to be. I can unhesitatingly recommend these cartridges to anyone who wants to buy cartridges in a slightly unusual colour, though they are a bit on the expensive side. You can, if you cannot afford them, achieve much the same level of inky pleasure by buying a bottle of red ink and a hypodermic syringe. then you might be able to get by by refilling the cartridge, when it is empty of ink. They are also quite useful for simulating nosebleeds, or gunshot wounds if you happen to want the afternoon off. Thank you for your thoughtful and extensive review. However, I feel I should point out that, these cartridges are "lovingly filled" in Germany, not, the Peoples Republic of China. 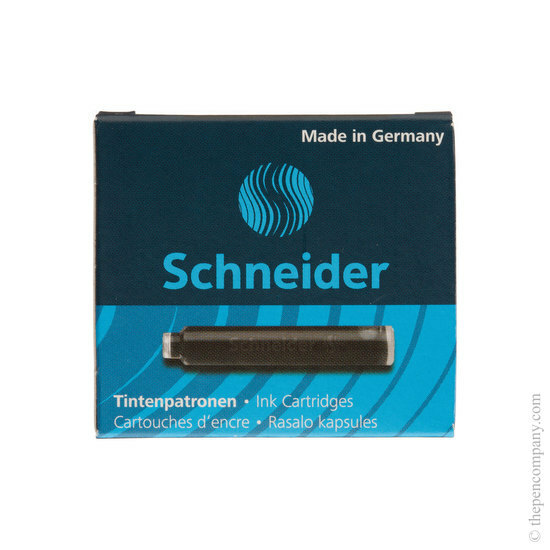 I also believe that these cartridges are competitively priced for a European made ink product, but, you are correct in that bottled ink is a more economical way to fill your fountain pen! A word of warning if using as fake blood it can be hard to wash out of clothing, also, Diamine produce better ink shades for more realistic blood effects.